On Global Recycling Day, Foxhole Spirits launched the second product in its portfolio of spirits created from otherwise unused resources, HYKE Gin. The new product is made in England, using grape spirit produced from fresh table grapes that are otherwise surplus to the requirements of the supply chain. By working with Richard Hochfeld Ltd – one of the biggest fruit importers in the UK – Foxhole has been able to reinvent the equivalent of 1.4 million punnets of grapes which couldn’t be sold as fresh. 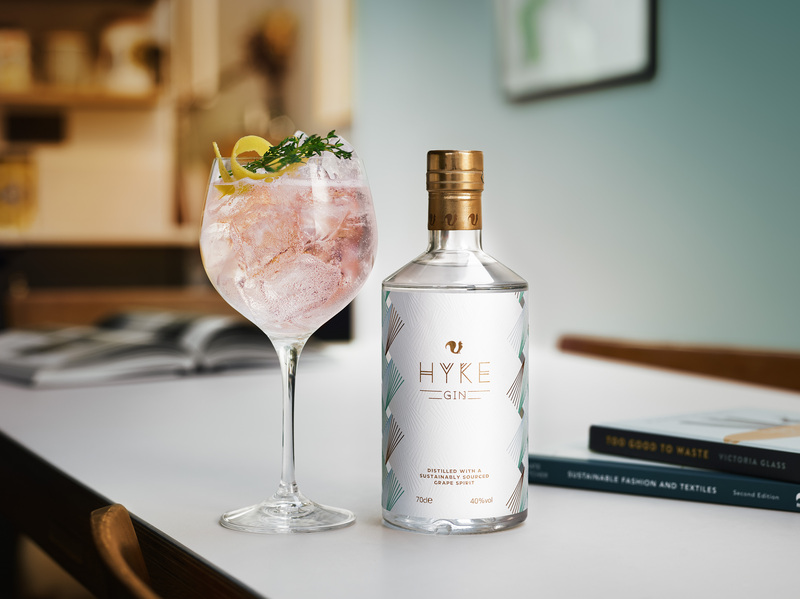 HYKE Gin 70cl will be available to the on-trade through Highball Brands, while the 50cl will be on sale exclusively in 300 Tesco stores as part of their Champions 12.3 targets, to cut food waste by 50 per cent by 2030. Three signature serves have been created by Jamie Jones, director of drinks at Scotch + Limon to showcase HYKE’s versatility, these include HYKE G&T, HYKE Spritz and a HYKE Martini.